ROME, Mar 10 2017 (IPS) - In the northern part of Mount Kenya, there is an indigenous community — the Il Lakipiak Maasai (“People of Wildlife”) — which owns and operates the only community-owned rhino sanctuary in the country. They have managed to alleviate the human-wildlife conflicts that arise in the area due to the intrusion of wild animals searching for water, prey and pasture during drought. And they achieved this by reducing bush-cutting to ensure more fodder for wildlife on their lands. 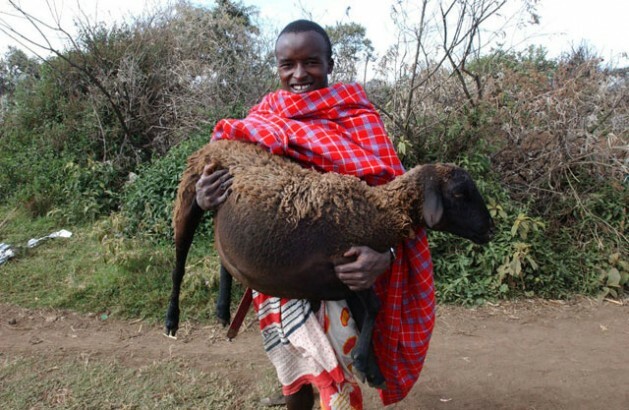 Through this conservation strategy, indigenous peoples have demonstrated that they can coexist harmoniously with wildlife while supporting their own pastoral lives and cultures. No wonder, for thousands and thousands of years, the Earth’s original peoples have faced hard challenges, yet they managed to survive and conserve their natural environment. They still do so in spite of modern humans who have been systematically abusing their rights, stripping their lands, confining them to reserves, and disdain their ancestral cultures and knowledge. Now, following recent trends, the international scientific and development community has been further recognising the invaluable role of the indigenous peoples when it comes to facing one of the most dangerous challenges of modern times: the extinction of biological diversity. For instance, the United Nations says that actively involving indigenous peoples and local communities in wildlife conservation is key to maintaining biodiversity and ensuring sustainable rural livelihoods. The urgent challenges that the world faces in maintaining biodiversity worldwide require that indigenous peoples are empowered to act at the national level with assistance from the international community, on March 3 said the UN Food and Agriculture Organization (FAO) on the occasion of World Wildlife Day. “The cultures of indigenous peoples and local communities involve the stewardship of wildlife. They simply cannot imagine their life divorced from nature and their interest in the sustainable use of resources is strong,” said Eva Müller, Director of FAO’s Forestry Policy and Resources Division. Empowerment of these groups combined with their knowledge and long-term planning skills is essential to ensure the survival of future generations – of both humans and wildlife, Müller added. The relationship between humans and wildlife is highlighted in a new edition of FAO’s quarterly forestry publication Unasylva, which is jointly produced by the Collaborative Partnership on Sustainable Wildlife Management, comprising 14 international organisations. It cites several case studies from various countries to illustrate how indigenous peoples can optimize the benefits for their livelihoods while also safeguarding wildlife, provided they are given the rights to make their own decisions in the territories they inhabit. Human-wildlife conflicts have become more frequent and severe particularly in Africa, due to increasing competition for land in previously wild and uninhabited areas, Unasylva noted. FAO, the French Agricultural Research Centre for International Development (CIRAD) and other partners have developed the first Human-Wildlife Conflict (HWC) toolbox, which has helped a local community in Gabon’s Cristal Mount National Park. It explains that local farmers in this area were particularly frustrated by the fact that animals such as cane rats, roan antelopes, bush pigs and elephants were destroying their entire crops, and thus threatening their livelihoods. At the same time, laws prohibited these farmers from taking action by hunting the protected animals either for meat or to protect their crops. 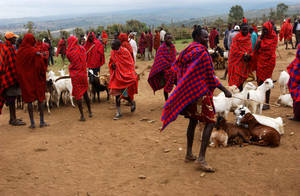 Anyway, when it comes to underlining the essential role of indigenous people in protecting Nature, FAO is no exception. In line with numerous international instruments, several IUCN resolutions emphasise indigenous peoples’ rights to lands, territories, and natural resources on which they have traditionally subsisted. These resolutions stress the need to enhance participation of indigenous peoples in all conservation initiatives and policy developments that affect them. Furthermore, they recognise that indigenous peoples possess a unique body of knowledge relevant for the conservation and sustainable use of natural resources. Another leading environmental organisation fully agrees. The UN Environment Programme (UNEP) recognises the importance of Indigenous Peoples’ participation as well as the valuable inputs that these holders of traditional knowledge – gained through trans-generational experiences, observations and transmission – can contribute to sustainable ecosystem management and development.